Tarek Chemaly: After Syfco, what is happening with Badawi Group? After Syfco, what is happening with Badawi Group? Yes, yes, my blog is still advertising and communication related - but it seems that back-to-back two major real estate issues have blown over. Yesterday it was the puzzling, public, PR disaster of Sayfco (which is still there, it is full jumble online - raising legal questions as to the content and handling of the page in question! 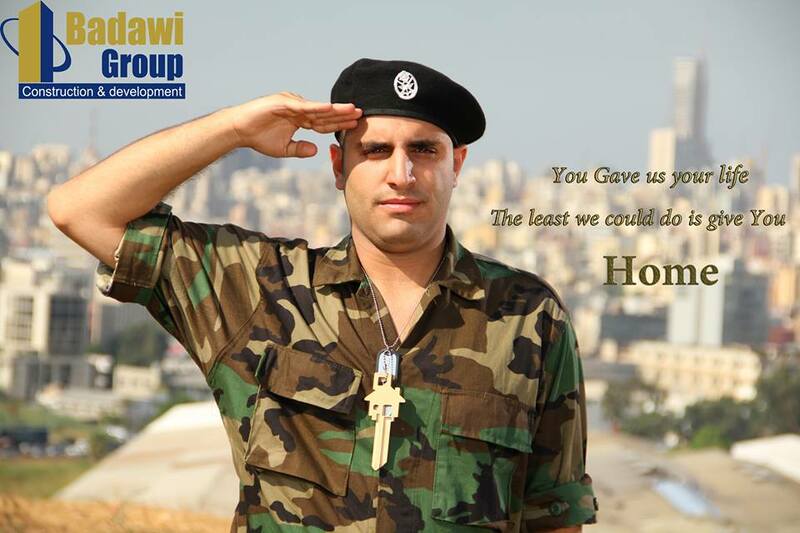 ), and today it seems it is the turn of Bawadi Group - which has previously used the army in one of its ads. The army "soldier" is the usual passepartout for advertisers wishing to play on heart-strings (and secured cash from deposited paychecks!) - so there are many banks who offer them special cards, many companies that have special deals for them, and so on. So apparently though, and this information comes from other TV channels displaying such information, Badawi Group has projects stalling and therefore unable to meet the money people already injected into the projects as down payments or monthly installments. If you look closely at the page's comments you could see the boiling frustration of people unable to recoup their investments, you could see the sad stories displayed there for everyone to see. But lives of the average Joe seem not to matter.